Looking for a way to take your favorite cable TV channels with you wherever you go? This week, the folks at Slingbox introduced the Slingbox M2, its first-ever full HD remote viewing box with free mobile apps and no monthly fees. The Slingbox M2 connects directly to your cable box to provide full remote access to your pay TV subscription via your home's Wi-Fi. This means you can stream live TV in 1080p from any cable or satellite box directly to your mobile phone, tablet, Apple TV, Fire TV, Roku and Chromecast. The Slingbox M2 also works with DVRs, so you can remotely access recorded content, too. Owners of the older Slingbox M1 are required to pay $14.99 per device to install the SlingPlayer app that enables remote viewing. There’s no per-device fee for Slingbox M2 owners, but you will have to endure advertisements. Expect to see a pre-roll ad when you first launch the player app, along with ads in the viewing window. Viewing content in full screen automatically hides ads, so they’re minimally intrusive. It’s worth noting here that the Slingbox M2 is a true TV anywhere device, unlike the majority of apps being offered directly by cable providers to customers. It works over 4G LTE no matter where you are – there aren’t any content blackouts, even for sporting events. A Slingbox M2 won’t help you become a cord cutter, but it will help you make the most out of your existing pay TV subscription. 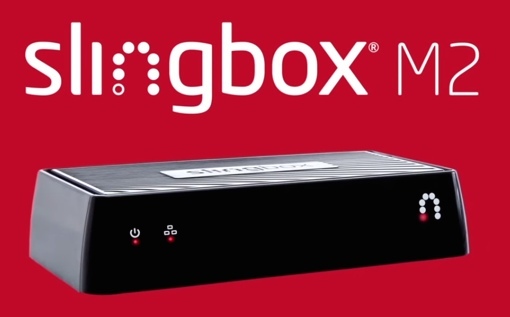 You can find the Slingbox M2 on the Slingbox website for $199.99. For more information about the device, check out the brief video below.